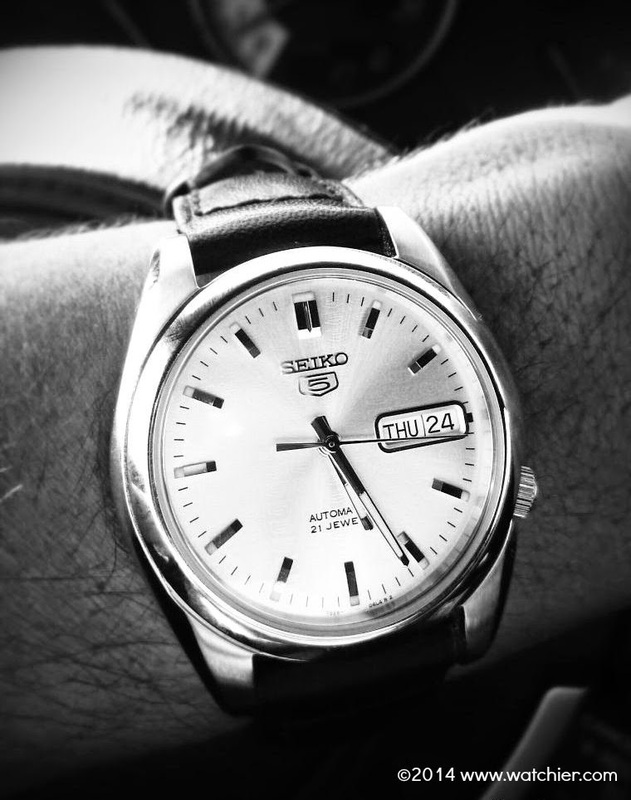 Why all the hype about Seiko 5?! 1963 was the year of the introduction of the first Sportsmatic 5. Sportsmatic 5 set a new standard in accessibly priced mechanical watches with its innovative combination of an automatic movement, 3 bar water resistance and a one-level day and date display in a single window. Its uniqueness was evident also in the case design, with the crown hidden behind the 4 o’clock position.Rugged, dependable and unique, Seiko Sportsmatic 5 instantly made its mark, and began a tradition that is now half a century old, and is still growing. 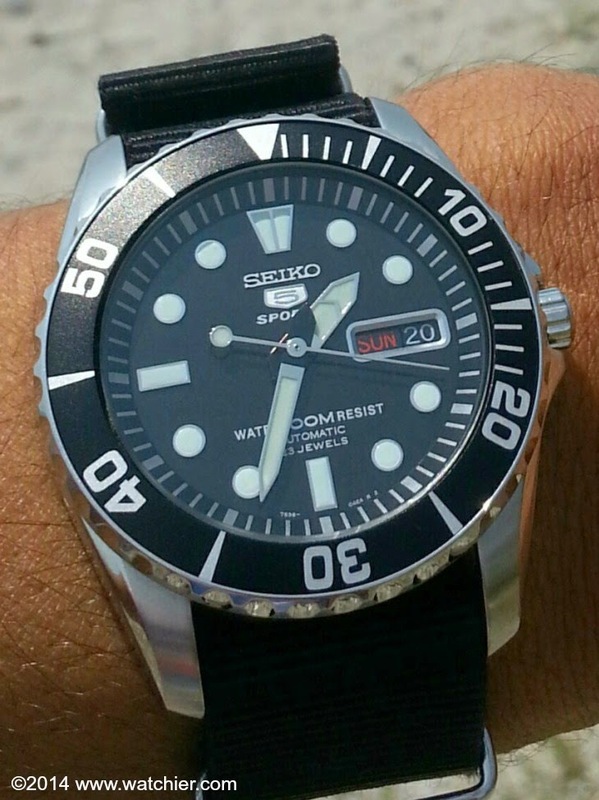 I discovered Seiko 5 when I have just started the watch collecting hobby; I was looking for a non professional dive watch; my short list consisted of the Orient Mako, Seiko SKX007 and the Seiko 5 SNZF17. I was leaning towards the SNZF17 because of its unique and elegant dial; The applied markers were amazingly done, the whole watch looks and feel much more expensive than its price tag which is around 125$, I got mine from the bay for about 100$. The bracelet on this model and on most Seiko5’s is not great, in other words not good; they are cheap, clumsy and noisy. But if you replace it with an after market jubilee one or a decent leather strap or nato, then you will have an excellent watch which looks and feels great.